The GFX 50S uses the same X-Processor Pro imaging processor that is found in the X-Pro2 and X-T2. Since the sensor only supports contrast detection autofocus (CDAF), efficient AF algorithms are all the more important. The GFX 50S prototypes we tested behaved surprisingly snappy, and the best results can be achieved with lenses that feature inner focussing (IF). 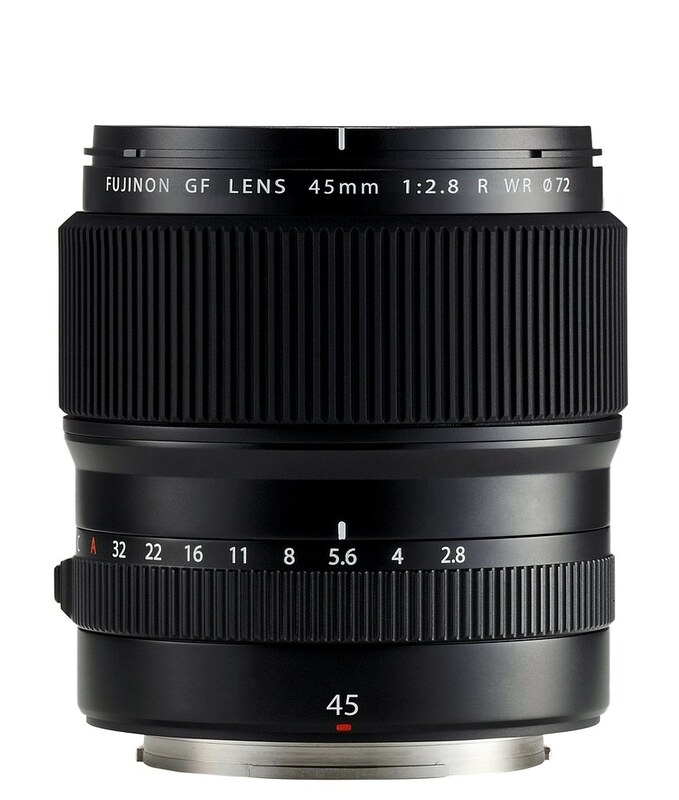 Sadly, among the six initial lenses, only the GF32-64mmF4 R LM WR zoom lens falls in that category. The start-up time of the camera is pleasingly short and comparable to other current X series models. However, the shooting intervals will be longer, with a number of 700 ms currently floating around. The GFX 50S inherits many features of the recent X-T2, such as dual UHS-II SD card slots, USB 3 data transfer and charging, HDMI loop-through as well as mic, headphone and remote control outputs. There’s also new stuff like a dedicated C positions on the aperture ring and ISO dial, a higher-resolution EVF with tilting option and a touch-screen LCD. The GFX 50S offers less physical dials than the X-T1 or X-T2 (the Drive, Metering Mode and Exposure Compensation dials are gone), and it is designed with a well-shaped grip to comfortably hold the weather and dust sealed camera body with various lenses. It also features a detachable electronic viewfinder, which you can remove when using an external monitor or shooting with the built-in rear LCD. Similar to the X-T2, the rear display is horizontally and vertically tiltable, but it will also function as a touch-screen in the final product. 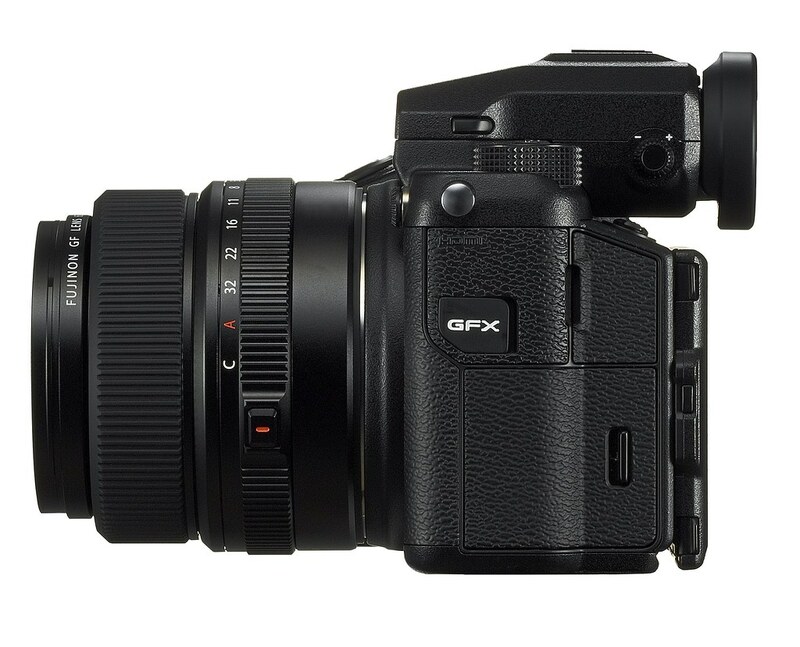 The resolution of the electronic viewfinder (EVF) appears to be higher than in the X-T2. 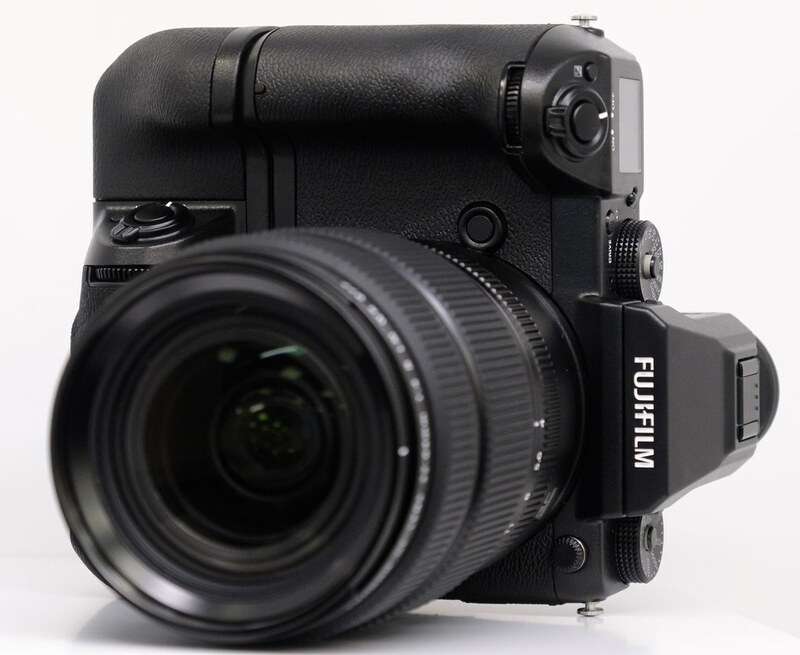 The display is very bright, and according to Fujifilm, it will perform similar to the X-T1, which translates to a frame rate of around 60 fps and a very short display lag. Flexibilty is key: With a tiltable touch-LCD and EVF as well as „dual use“ operability, the GFX 50S is set to support as many different shooting styles as possible. A backlit sub-LCD display shows all important camera settings, even when the camera is turned off. An optional adapter makes it possible to fit the EVF in any angle, giving plenty of freedom in the choice of shooting angle. 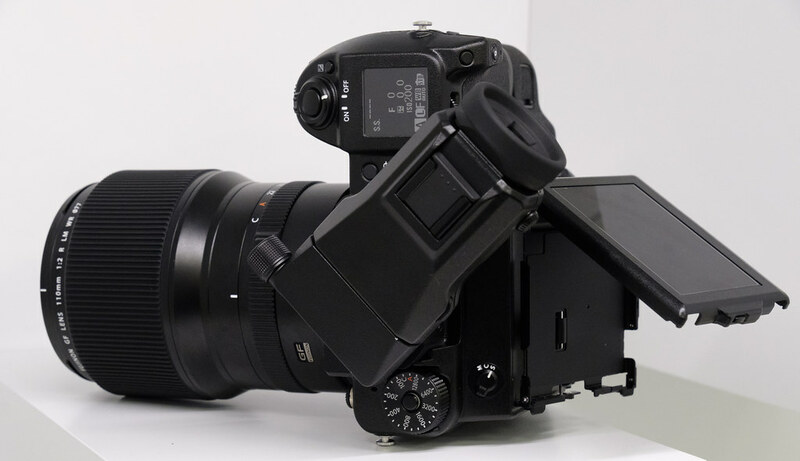 Other optional accessories include a Vertical Battery Grip (which is optimized for portrait shooting), and the camera will also support tethered shooting and will be compatible with various RAW conversion application software, which obviously includes Adobe Lightroom. It will be interesting to see if Phase One will reverse their policy of not supporting competing media format cameras in Capture One Pro. With the optional Vertical Battery Grip attached, the GFX 50S looks more like a professional DSLR than a typical medium format camera. This also applies to the handling: Playing with different configurations, I felt right at home. The new G Mount has the short flange back distance of just 26.7mm and a minimum back focus distance of 16.7mm to shorten the distance between the rear lens element and the sensor as much as possible. 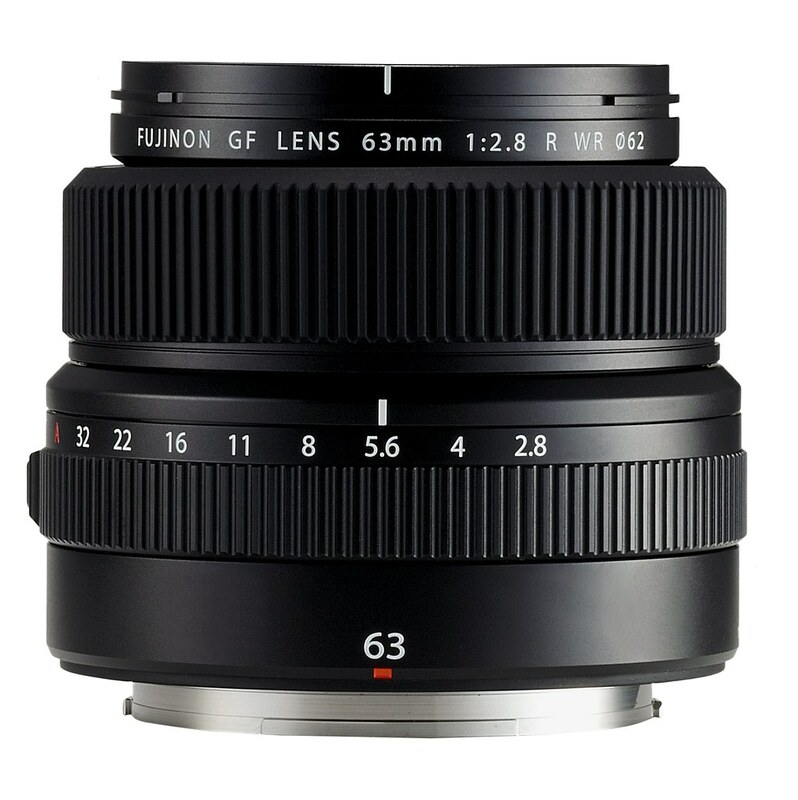 All G mount lenses are optimized for the G sensor format and feature very high MTF numbers. 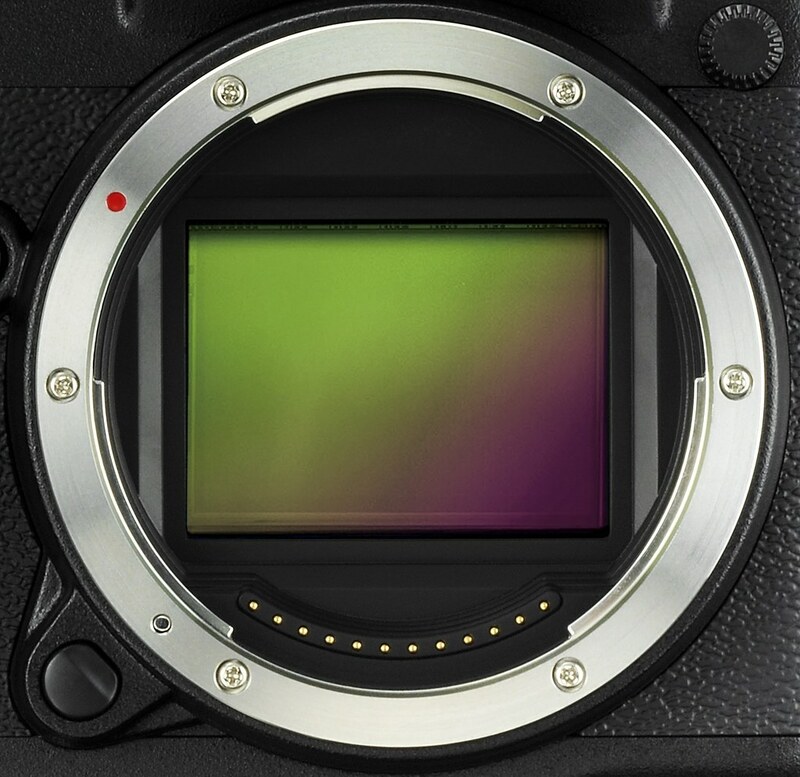 According to Fujifilm, they will support resolutions as high as 100 MP, which is a pretty clear hint at future GFX models with even higher sensor resolutions. 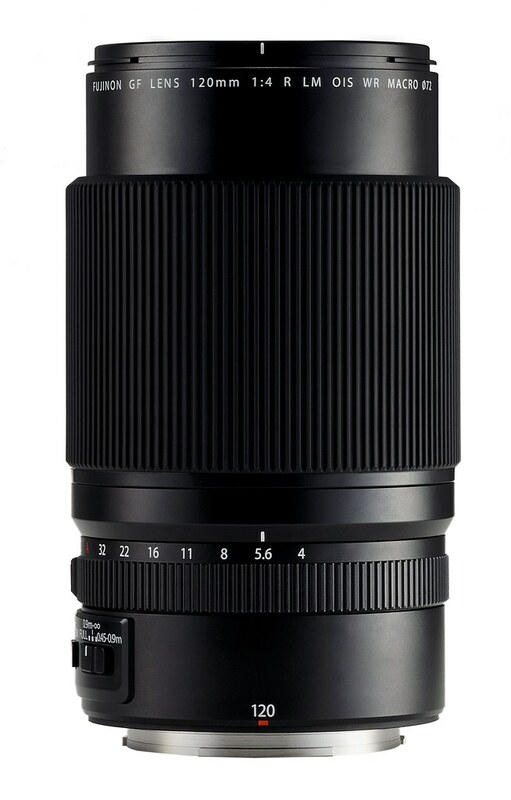 This is only the basic line-up, additional prime and zoom lenses will arrive after 2017, expanding the range of available focal lengths to cover at least 20-250mm, depending on user feedback and demand. 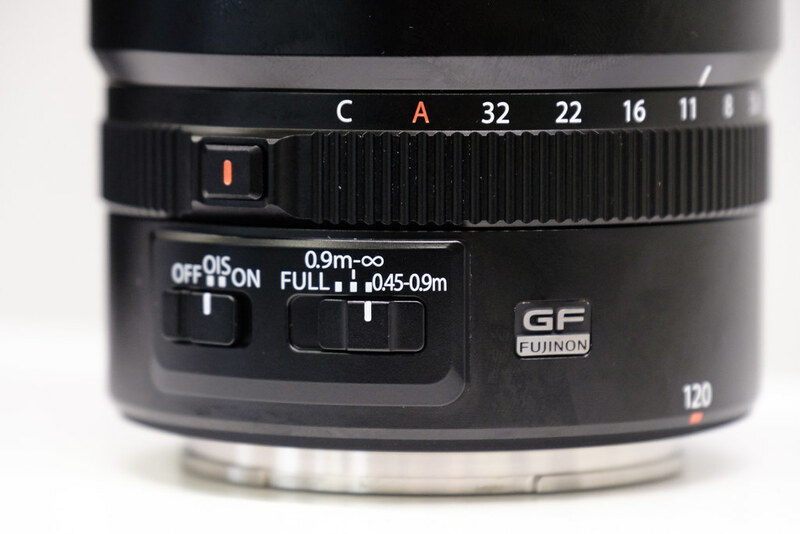 All GF lenses feature an aperture ring with a new C (Command) position to enable aperture adjustments with the command dial on the camera body. The C position can be locked to avoid accidental changes. A similar C position is available on the ISO dial, with the T position on the shutter speed dial serving the same purpose, making it possible to save and quickly switch between different camera configurations without having to turn a number of manual dials (which can be pretty time-consuming). 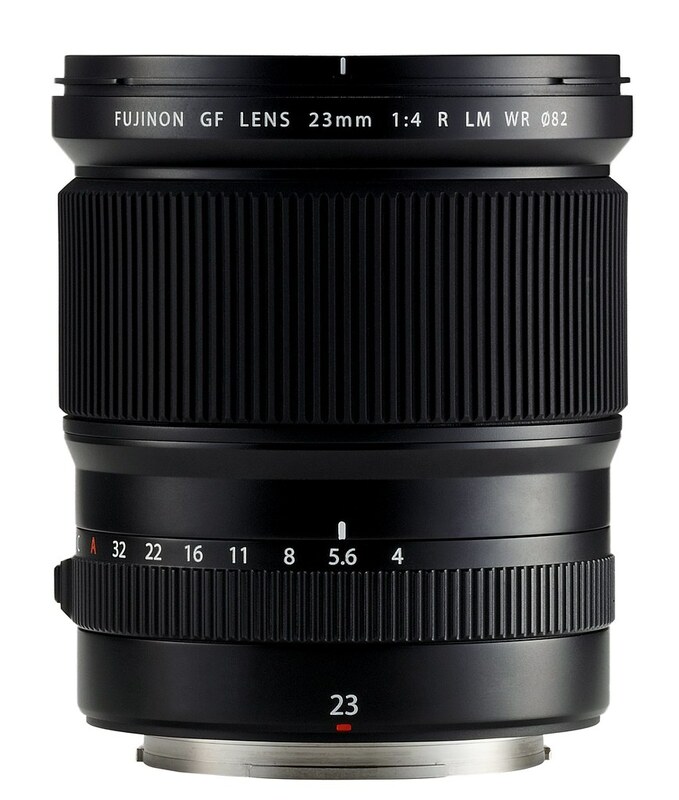 In the initial lineup, the GF120mmF4 Macro R LM OIS WR is the only lens with optical image stabilization (OIS). However, the OIS mode switch is still limited to OFF and ON – as opposed to 3-way-switch design with positions for OFF, Mode 1 and Mode 2. It’s not like Fujifilm couldn’t do a 3-way-switch: the focus limiter switch right next to the OIS switch is just that. 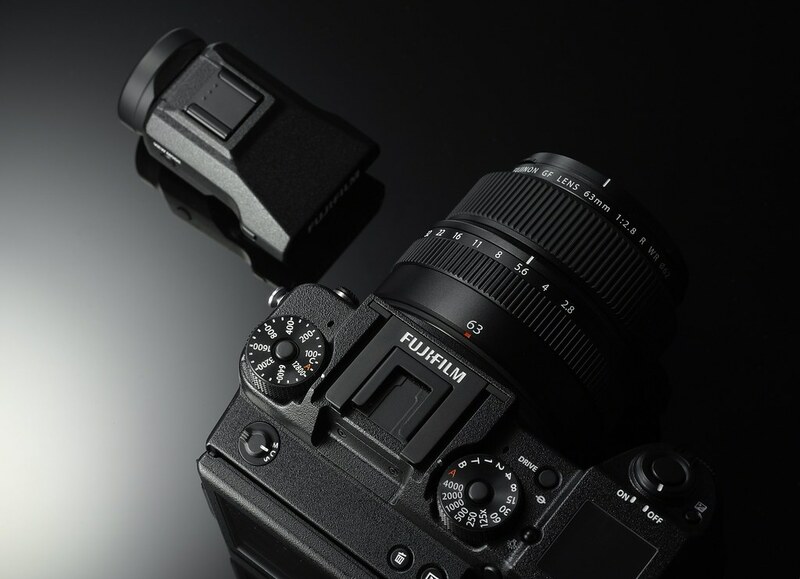 Fujifilm regards the GFX 50S as a „dual use“ camera that allows users to operate it either in a classic manner with manual dials for aperture, shutter speed and ISO, or in a more modern fashion with up to 11 Fn buttons, neutral command dials and configuration profiles. To facilitate this, a backlit sub-LCD display on the top plate shows all important camera settings, even when the camera is switched off. Additional usability is provided by a third ultra-high electronic magnification level in the EVF for improved manual focussing. Another highly anticipated usability feature will be the introduction of RGB color histograms in the live view. There will be a range of adapters to connect third-party lenses to the GFX 50S, including leaf shutter lenses for studio and flash work. For example, there has been reports about a Hasselblad HC adapter with leaf shutter, electronic aperture and autofocus support. Thanks to the short flange-back distance, pretty much every existing medium format or 35mm (D)SLR lens can be physically attached to the GFX 50S. All you need is the right adapter, and if Fujifilm isn’t going to provide one, third-party manufacturers such as Metabones certainly will. With 12 electronic contacts, the new G mount offers great flexibility in this area. 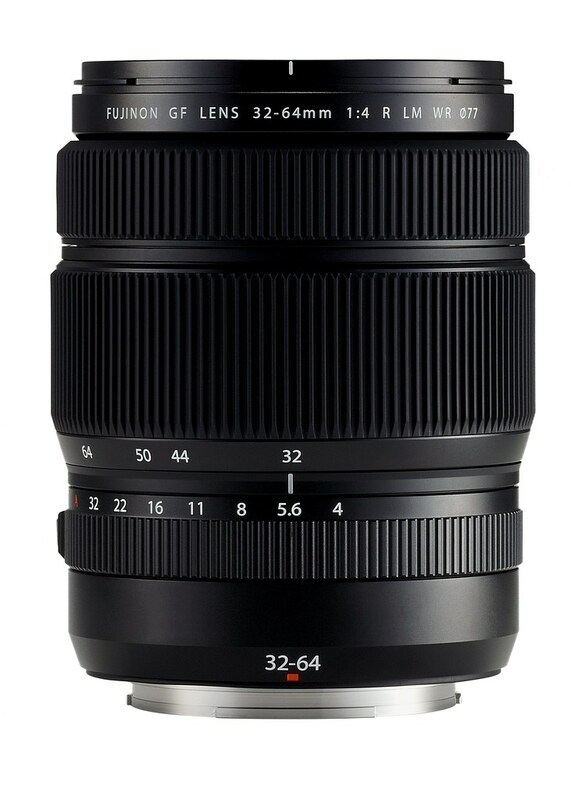 Theoretically, it would also be possible to adapt G mount lenses to the smaller X mount. However, there are no such plans, at least for now. GFX users won’t be limited to using dedicated GF lenses. There will be also be adapters for third-party lenses (including leaf shutter designs). All six initial GF lenses rely on the camera’s built-in focal plane shutter that supports shutter speeds as fast as 1/4000s and a flash sync speed of 1/125s. Higher flash sync speeds will available with HSS. There’s also rumored Fujifilm flash system support from Profoto and Elinchrom. 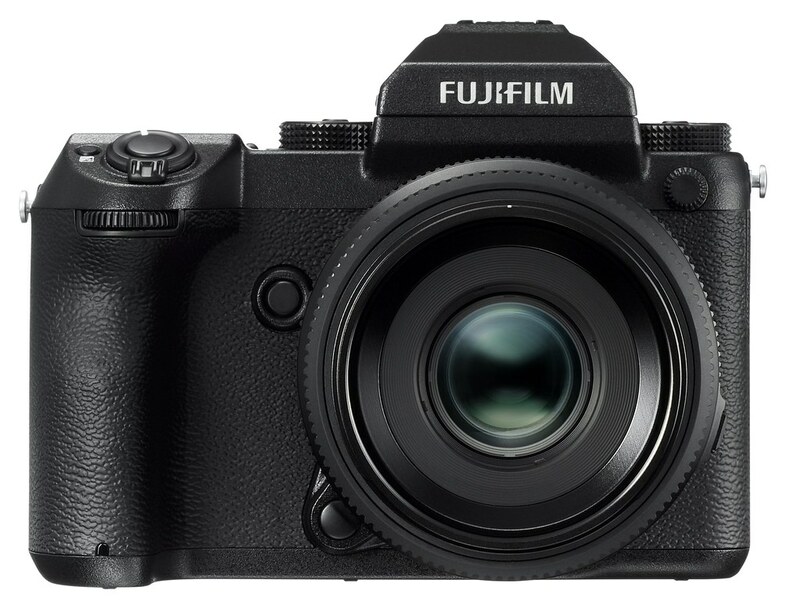 Fujifilm states low shutter shock, high response and high durability, without telling actual numbers, but telling us that „you will be surprised“. Shutter operation is pretty silent and comparable to the shutter in the X-T2 and X-Pro2. It also sounds quite nice, and as mentioned before, it will most likely be augmented with EFC and ES options. With the GFX 50S, Fujifilm promises „overwhelmingly high image quality“. Of course, the larger sensor (almost four times the size of Fuji’s APS-C sensors) offers a much better signal-to-noise ratio with higher dynamic range. It’s fair to assume that the GFX 50S will be ISOless to a wide extent, so I expect extended dynamic range settings of DR800% and maybe even DR1600%. The camera’s base-ISO is calibrated to 100 (standard output sensitivity), and ISO will go up to at least 51200. With the GFX 50S, Fujifilm is entering the medium format market with a surprisingly flexible camera that is suitable for studio and outside work, for reportage, travel photography, fashion and whatnot. 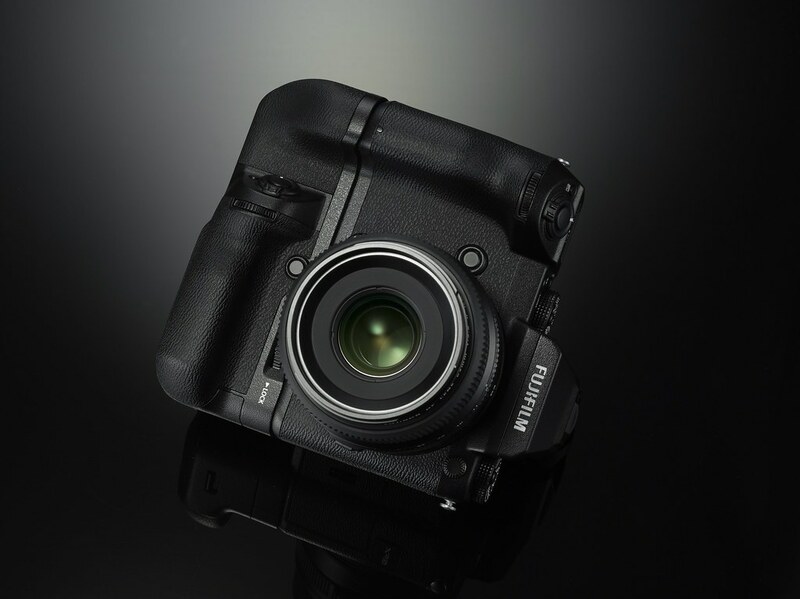 You can use it as a „compact“ camera without an EVF, relying on the tiltable touch-screen LCD display. Alternatively, you can use the EVF (with or without the tilting adapter), or you can attach external monitors of any size via the HDMI output. You can tether via USB or Wi-fi (PC, smartphones and tablets), and there are dual UHS-II SD card slots available. You can use the camera in a classic fashion with dials for aperture, shutter speed or ISO, or you can set it up like a modern DSLR, where everything can be controlled with Fn buttons and easy-to-access command dials. Last but not least, there’s a vertical battery grip option. Basically, the GFX 50S body comes in five different sizes: no EVF, standard EVF, tiltable EVF, standard EVF with BG, and tiltable EVF with BG. 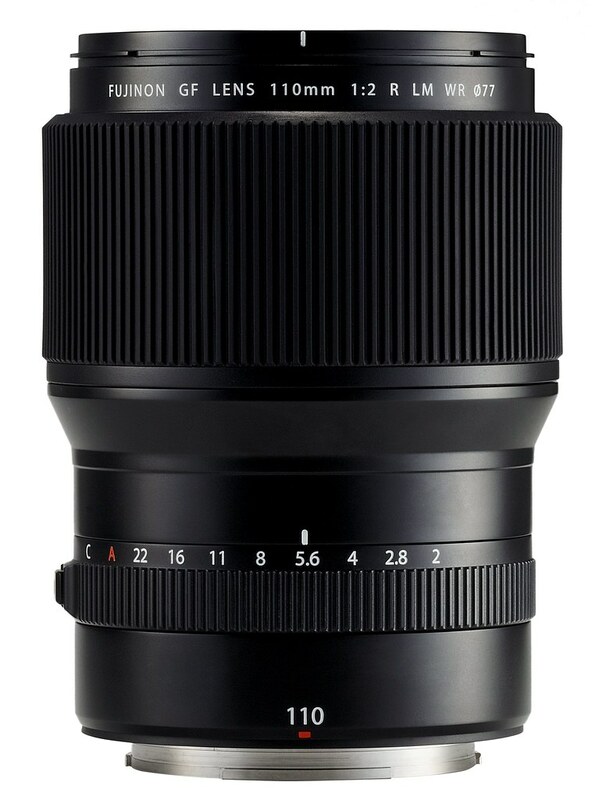 Fujifilm promises a price way below 10,000 USD for the body with a standard prime lens. The GFX 50S will be available in spring 2017. Thanks for the detailed write-up. Looks awesome! Excellent Rico! Thank you for answering a lot of the questions I had about this! Great summary – thanks Rico. One question I have is whether the lenses are focus-by-wire as the X series are. Personally I much prefer a „real“ manual focus system with a direct physical connection. Me turning a ring which feeds input to a microcontroller which talks to a stepper motor? Urgh no thanks! Focus by wire, as usual. WHAT ARE THE SHORTEST DISTANCES FOR: 2/110, 2.8/45 AND 4/23 LENSES? THANKS. Great summary, Rico, thanks a lot. Is the tilting EVF simply a rotational adapter combined with the standard EVF? Or is it a separate EVF that’s bigger and has tilting support? Many thanks! One more question: What’s the color depth? 14-bit or 16-bit? is the 32mm – 64mm lens corrected for distortion too? Any word on autofocus performance? I understand I shouldn’t probably expect too much, but anyway… I use to shoot the first gen A7r, most likely this will be comparable?